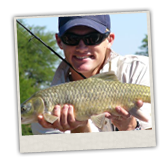 Vaal Adventures is one of the leading service providers in the adventure and leisure industry! 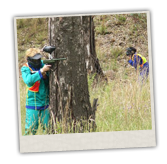 With many activities to choose from such as teambuilding, white water river rafting, paintball, quadbiking, kayaking, snorkelling, raft fishing safaris and lots more. 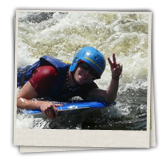 Vaal adventures run most of the events in the Vaal triangle, Parys and all over South Africa. We have a wide variety of venues on our books, from camping, self catering chalets, tented bush camps, game farms, river camps, lodges, five star hotels any type of accommodation for every budget or need. The venues Vaal Adventures use is close to Johannesburg. We cater for all, from one day events to multi day activities. Vaal Adventures offers services for corporate, tourists, schools, leisure, church groups/clients, Kids parties, bachelor’s parties, hen parties, 21 birthday parties, any birthday party. Come and have fun with us in nature. Get away from the stress of the city! To view our entire gallery please click here. Copyright © 2010 Vaal Adventures, Vaal Triangle (Vanderbijlpark, Vereeniging, Sasolburg), Parys. All Rights Reserved.
.::Tapimanzi Adventures::. - Live Life! 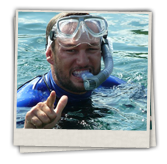 Tapimanzi Adventures cater for Adrenalin Junkies as well as novice Adventure seekers. Wow Kids Fun, Parys We are mobile party coordinaters, in other words, we bring the fun to you!